There are key areas like medical data analysis and provider data analysis from where insurers can take inspiration from the healthcare industry to improve their utilization of injury-related data and analytics. The evolution in technology has led to an explosion of data and the various ways in which data can be collected, stored, and analyzed for critical functions across industries. The healthcare industry has experienced revolutionary changes with payment reforms and value-based models. It has brought about qualitative improvements in care management and with technology – the capabilities of IoT, wearables, and predictive analytics – are helping provide better care and gain healthy outcomes. 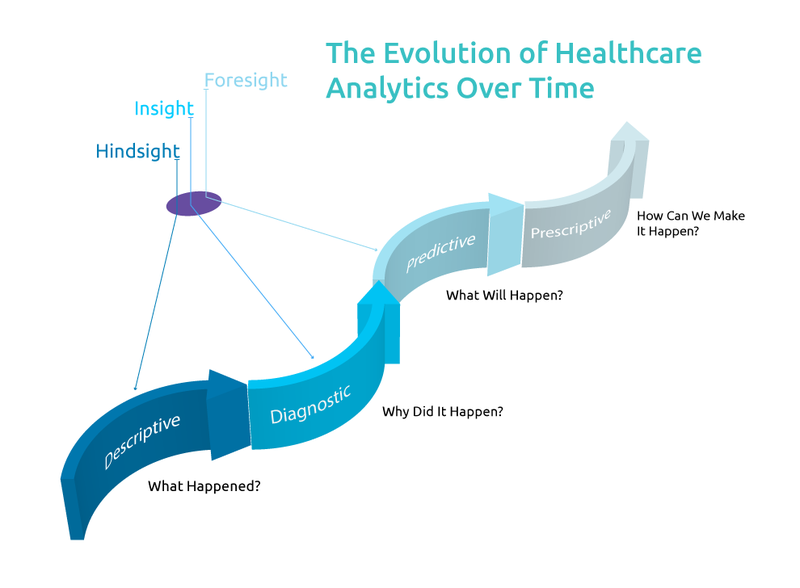 Healthcare analytics has progressed from quantitative and descriptive analysis of medical data over time to understanding quality-related information from a historical perspective and risk score-related analytics. It is imperative to identify patterns in healthcare-related data and leverage that information to predict the future. The emergence of big data, IoT, and associated technologies has ensured that more and better data can be collected quickly, in a cost-effective manner. Analytics can then generate meaningful insights from this data. However, only a tiny minority of healthcare organizations are using predictive analytics, even though its effectiveness has been validated in reducing readmission rates and minimizing cases of fraud and waste. Regulations like the Affordable Care Act emphasize that healthcare providers and payers should make the continuous improvement of quality care at lowered costs a priority through the implementation of value-based programs and innovative payment models. There has been a focus on the need to enrich medical data and integrate electronic health records (EHR) to the healthcare IT infrastructure. The combination of varied data, including patient information from health records and wearables, care operations data, pharmaceutical data, claims data, etc., and predictive analytics, although still in experimentation and early stages, is already showing a tremendous impact on care management. Identification of patient populations based on parameters like risk score, cost factor, and adherence has become far easier with predictive analytics. Analytics on large sets of population health data makes it possible to unearth information that is otherwise not a part of the traditional claims cycle. This can include the cultural and socio-economic determinants that affect population health. Predictive analytics can also forecast the severity and frequency of targeted medical claims and positively influence the claims progression. The care management parties are enabled to effectively study specific patient populations and understand the barriers to good care. 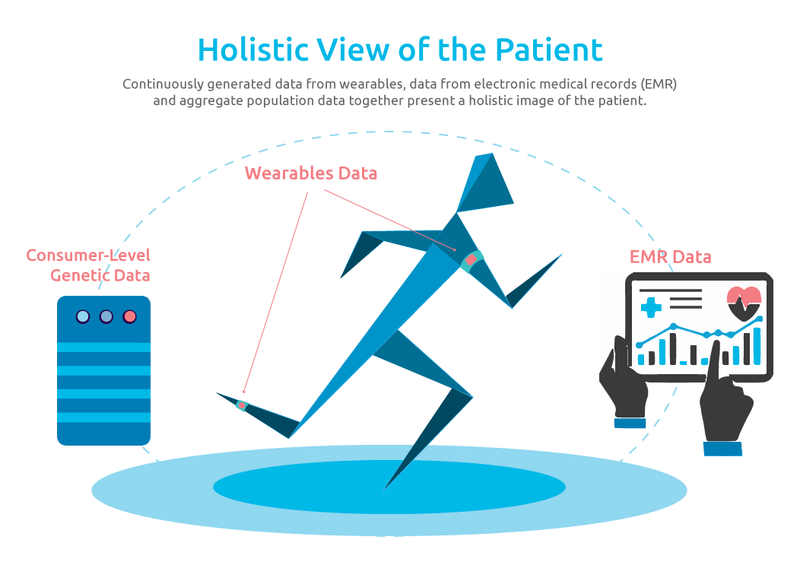 Aggregate population data, in conjunction with data from wearables and electronic medical records (EMR), present a holistic image of patients. This enables delivery of on-demand care to consumers at affordable rates, as in the case of location-based, real-time care. Wearables have evolved to a point where they can monitor vital body signs, such as heart rate and blood glucose levels. In some cases, these devices have sufficient computing power to check for critical signals and generate alerts that may influence patient behavior. Personal data from wearables is increasingly becoming useful in injury cases. Injury-related accidents may lead to prolonged hospital stay, extended treatment plans, and ultimately increased healthcare cost. Proactive understanding of the cause of an injury is currently possible through a combination of textual analysis, image recognition, which when combined with wearable data can reveal untapped information about the cause or consequences of an injury. Care managers can override the disadvantages of using claims data because it is retrospective in nature and often several months old. The frequency of auto injury claims has reduced over the past few years because of ever-improving safety measures. However, the costs incurred by insurers have skyrocketed, mainly due to the increasing cost of medical services. According to the Insurance Research Council, the average cost of settling a bodily injury liability claim has grown by 32% to $15,506 between 2005 and 2013, and that of a personal injury protection claim by 38% to $8,017 for the same period. As such, P&C carriers are looking to learn from healthcare, the power of data, analytics, wearables, and other emerging technologies to trim costs and boost margins. There are key areas like medical data analysis and provider data analysis from where insurers can take inspiration from the healthcare industry to improve their utilization of injury related data and analytics. 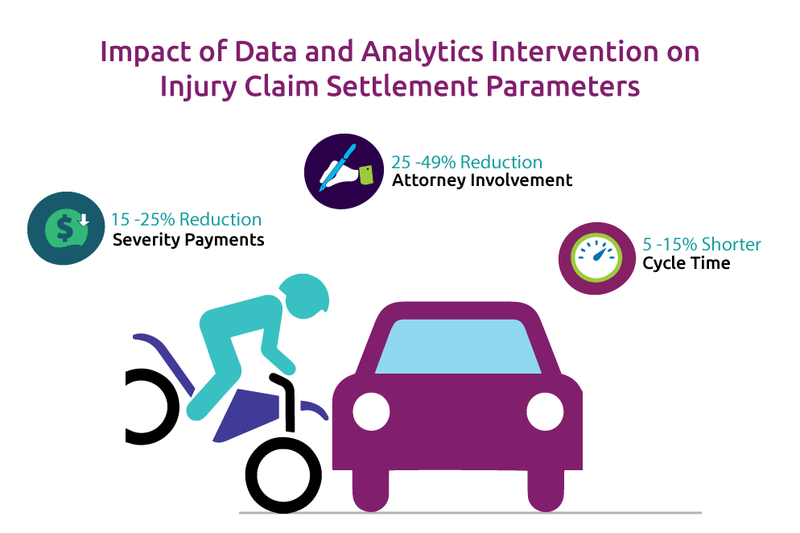 Provider data analysis can drive better outcomes in injury claims for insurers while improving access, affordability, and service levels for claimants at the same time. Analytics derived from value-based payments can help identify patterns in treatment provided by providers, benchmark them based on outcome or value generated, and identify the best-performing providers in the crowd. In the short term, it will lead to better scoring of different providers in analytical models and improve patient outcomes in the long term. Improvements in payer profitability will follow. The intervention of data and analytics can have a profound impact on financial and operational performance parameters of insurers. Attorney involvement may be avoided altogether, claims settlement costs can be lowered, and overall resolution time can be reduced. A minority of high-severity cases can be identified early, and managed faster and better. Further gains cannot be overlooked: improved staff utilization, reduced cases of fraud, and better margins on high-value claims. Clearly, injury analytics cannot be a solitary solution for the multitude of problems P&C carriers face when settling claims. However, a decision-making approach driven by data and analytics can help insurance companies make a difference to their customers by restoring their life and health in a more effective and cost-efficient manner. We welcome your comments. To take this discussion forward please get in touch with us on social media. HealthCatalyst website, “Care Management Analytics: Six Ways Data Drives Program Success,” KimSu Marder, https://www.healthcatalyst.com/insights/care-management-analytics-6-ways-data-drives-success, accessed May 2018. Stanford Medicine Health Trends Report entitled “Harnessing the Power of Data in Health,” https://med.stanford.edu/content/dam/sm/sm-news/documents/StanfordMedicineHealthTrendsWhitePaper2017.pdf, accessed June 2018. DZone/IoT Zone website, “Wearables, IoT, and Healthcare, Robby Gupta, February 9, 2018, https://dzone.com/articles/wearables-iot-and-healthcare, accessed June 2018. 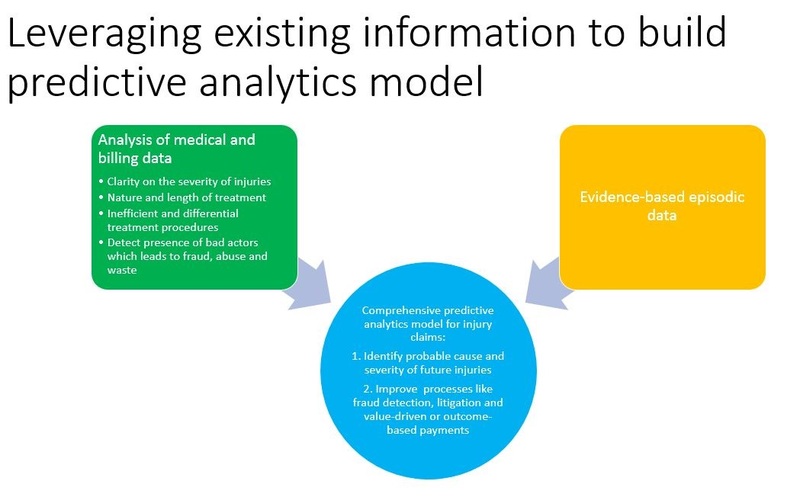 SAS Healthcare solution brief, “How can we use text analytics to reduce patient injuries?,” https://www.sas.com/content/dam/SAS/en_us/doc/solutionbrief/healthcare-text-analytics-to-reduce-patient-injuries-105642.pdf, accessed June 2018. Verisk website, “Surprising Trends in Auto Claims Severity and Frequency,” Tamara Flinn, May 15, 2017, https://www.verisk.com/blog/surprising-trends-auto-claims-frequency-severity/, accessed June 2018. Property&Casualty360 website, “4 ways analytics can improve third-party bodily injury claims outcomes,” Norman Tyrrell, April 4, 2017, https://www.propertycasualty360.com/2017/04/04/four-ways-analytics-can-help-improve-third-party-b/, accessed June 2018. LexisNexisResearch, “More Data, Earlier – The Value of Incorporating Data and Analytics in Claims Handling,” https://risk.lexisnexis.com/insights-resources/white-paper/the-value-of-incorporating-data-and-analytics-in-claims-handling , accessed June 2018.